Listen, I'm not going to tell you the Oukitel OK6000 Plus (yes, that is actually the name) is one of the best smartphones on the market. But, it does look basically normal and has a battery large enough to start a jet ski. Oh, and did I mention it's $123 today only on Amazon? Yeah. I don't think I need to tell you this phone isn't going to blow you away with specifications. It has a 5.5" 1080p display, 64GB of storage, 4GB of RAM, and a MediaTek MT6750 octacore A53 processor with LTE. It has cameras. This phone is, technically speaking, basic as hell. Most manufacturers only seem to think we want a day or two of use from a phone before the battery dies. 3,000-4,000mAh is what we've come to expect, and we've told ourselves that a day of use is good enough. We leave the charger by the bedstand and resign ourselves to the daily cycle of charge, use, die, repeat. But, with the new OUKITEL K8000, you can break out of that cycle. 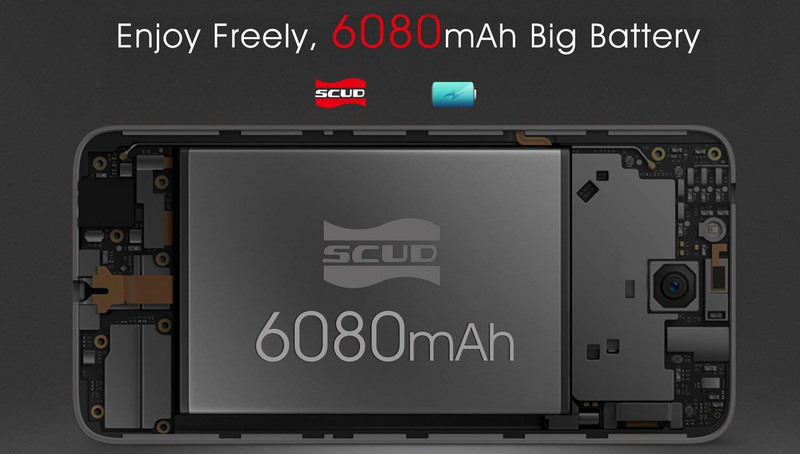 An 8,000mAh battery, power-sipping SoC, and efficient 5.5" HD AMOLED display combine to provide up to 5 days of battery life on a single charge. Outdoor enthusiasts have a hard time finding a good rugged phone. Almost every manufacturer cuts one corner or another in its pursuit of a rugged, capable device. Lucky for you, the only corners OUKITEL has cut on its new K10000 MAX are on the real physical edges of the phone. You get a waterproof, dustproof, shockproof device with a long-lasting 10,000mAh battery, octa-core chipset, FHD display, and an array of super-bright rear LEDs. Watch out, bigfoot. OUKITEL has started the global presale of the battery monster, the K10000 PRO. It will pack the fastest charger and long lasting 10000mAh (!) battery with great performance.